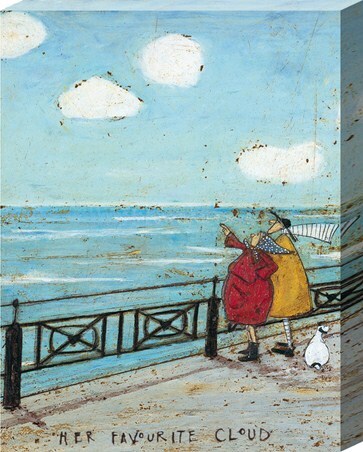 Renowned artist Sam Toft did not always want to pursue a career in artwork however we are so glad that she did. 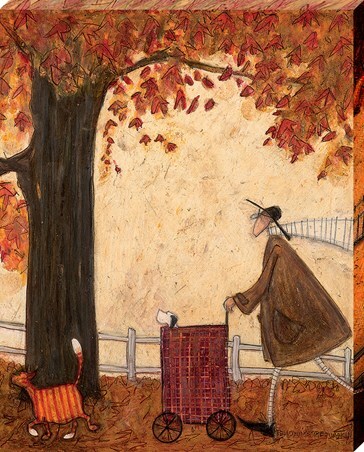 Sam has an incredible gift of creating textured and charming illustrations which she has surrounded by her very own characters and personalities. 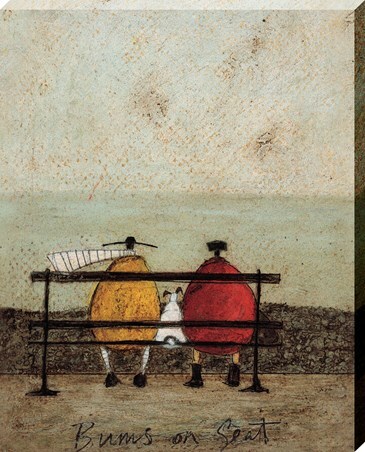 Aptly titled, 'Bums On Seat,' Mr Mustard and his wife Violet are seen sitting on a bench overlooking the view. 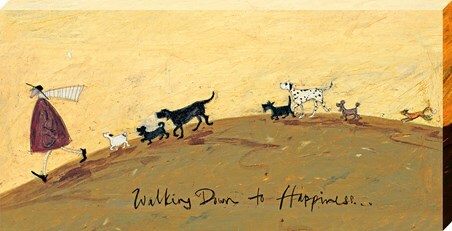 Always accompanied by their trust companion, Doris the Jack Russell, this sweet canvas is bound to add an abundance of warmth to your home. 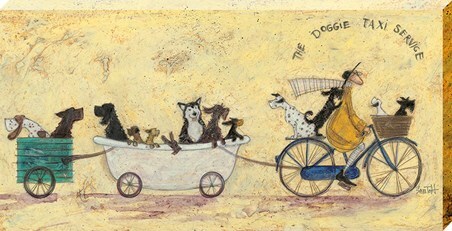 High quality, framed Bums On Seat, Sam Toft canvas print with a bespoke frame by our custom framing service.